FS225 is a hard-wearing industrial Chelsea boot benefiting from a Goodyear Welt build. Made with a fully waterproof Nubuck leather upper. It has a lightweight composite toe and midsole. Rubber toe guard along with rubber heel kick panel. Energy absorbing rubber sole unit and is anti-static. Compliant to EN ISO 20345 S3 safety standards. 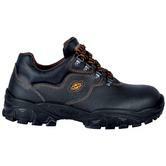 The UPower Scuro Super Grip full grain black leather work boot is an anti-static S3 compliant safety boot. Its made from top quality materials that give the wearer long lasting protection whatever the weather. These boots comply with the highest of safety standards. U-Power Scuro Grip S3 SRC Safety Boot conforms to: EN20345 S3 SRC standards. Himalayan Fully Waterproof Shoes Metal Free Cap/Midsole Gravity 2 Sole. Penetration resistance midsole up to 1100 Newton, complies with European protective footwear standards EN 20345:2011 and S3 rating. Safety protection tested to 200 Joules impact. 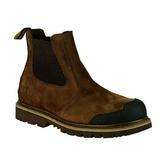 Ergonomically designed and flexible, made using Nubuck - waterproof genuine cow leather. Up to 300C heat resistant. Gravity Phylon Rubber Outsole, SRC BS EN ISO 20344:2004 - Slip Resistance Outsole provides protection and balance, stability and more durability. Black water repellent printed leather shoes that made from high quality materials. Perfect for light duties while also keeping your feet safe and warm. Fully waterproof these shoes are ideal for damp, wet environments. AIR footbed, made of EVA and fabric, antistatic, anatomic, holed. It guarantees high stability thanks to its different kinds of thickness in the plantar area. Complies with the highest of safety standards: EN20345 S3 UK SRC. 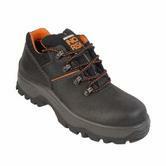 Impact and compression resistant steel toe cap, Toe protection to 200 Joules. Steel midsole, Penetration resistance to 1100 Newtons. Anti-static and an energy absorbing heel. 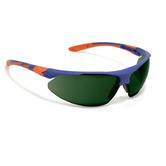 Ripstop mesh upper and Antibacterial Aerospacer lining. Quality leather and mesh upper with sturdy and durable rubber & Phylon outsole. Portwest Standard Coveralls are manufactured from a Kingsmill polycotton fabric which offers excellent comfort and durability. The back elasticated waist gives the wearer comfort throughout the day. Front fastened with a concealed stud front. These standard overalls have two side pockets. Patch pocket at the chest with a phone compartment. A pair of chef trousers that excel in comfort and functionality. Fully elasticated waist with drawcord, Texpel treatment which makes them liquids repellent. 3 pockets for when you don't know what to do with your hands. Snickers Workwear 6023 Professional coveralls suitable for any kind of low risk job are made from 65% Polyester 35% Cotton 245 g/m² fabric. Kneepad pockets are designed for the Knee Guard positioning system for superior knee protection, comes with extra material in the front for greater comfort. Left leg pocket with convenient Velcro fastening flaps and a mobile phone compartment, angled for easy access. Mobile phone pocket, two large breast pockets with a protective flap perfect for your wallet or notebook. Ruler pocket with an outside compartment has been shifted forward for greater comfort and easy accessibility. Manufactured from 65% Polyester 35% Cotton material. Securely designed front zip fastening with studded over flap. Pockets - 2 zip chest pockets, 2 slant side, side rule, 1 rear flap & velcro, 1 rear patch, side entrance openings. 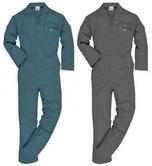 The addition of elasticated sides make this boiler suit both comfortable and secure. Manufactured from a combination of polyester and cotton providing a comfortable and durable product. The zip fastening system provides a very secure fit improving comfort and the overall reliability of the overall. Designed with many different pockets suitable for carrying all sorts of tools and valuables. 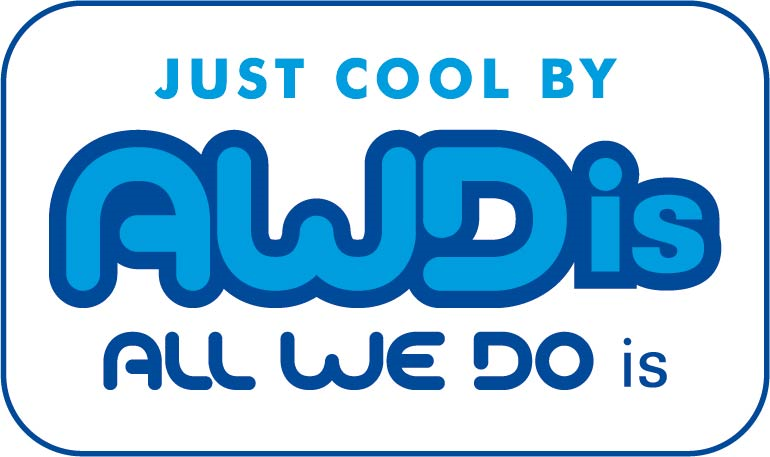 We can embroider your company logo onto whatever garment you choose - just email your logo to us. Machine washable making it very easy to maintain throughout the week. Royal Blue Proban 205C4Rb Reg Leg coverall for style, comfort, functionality and safety. Keeping you safe from flame spread at your work place. Proban 205C4 - hard-wearing flame retardant and comfortable coverall range. This flame retardant overall is tough enough for industry's most hazardous conditions. 245gsm poly/cotton jacket with three patch pockets. Durable jacket with concealed stud front closure. Classic jacket available in Royal Blue colour. Panoply Mach2 Men Work Jacket Polycotton Driver Coat. 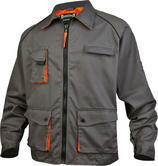 A practical driver jacket made in durable polycotton with lots pf pockets and a comfortable fit. Multipocket jacket with front zip fastening. Made from 65% polyester 35% cotton machine washable fabric. Delta Plus Mach2 Polycotton Driver Style Work Jacket conforms to: EN ISO 13688:2013 General requirements. 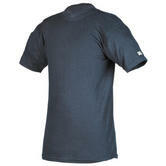 The Sioen Terni 2672A Thermal T-Shirt comes with comfortable ribbed collar. Ideal for extra thermal comfort in intense physical activity. It uses a unique seamless design and round neck with a short sleeve. Made from Sioen Siofit Thermal wear: Viloft 50% - 50% Polyester , 160 g / m² (Rib 1/1). Lightweight, comfortable t-Shirt with inherent wick ability. Self fabric collar, cuffs & taped back neck. Twin needle stitching improves strength. Caterpillar Performance Lightweight T-Shirt with Contrast Stitching for an Action look. Makes an excellent under garment to keep you warm and dry whatever the weather. Ergonomically designed Ultradura Coating grey lens Safety Glasses. Integrated brow and cheek guards for increased wearer protection. Protects against liquid droplets and splashes, large dust particles. Flexible, closed-pore soft components of frame adapt to individual face contours. Easy cleaning process due to separate lens and frame concept. 5-stage side arm length adjustment ensures optimum fit. Uvex Skylite grey lens safety spectacle manufactured to EN166 protection standards. A lightweight safety spectacle, weighing just 25g, with a wraparound 9 base curve polycarbonate lens. The slim stylish temples have been co-injection moulded with soft rubber to increase grip and provide excellent comfort levels. All lenses are Optical Class 1 and block 99.9% of ultraviolet radiation. UVA, UVB and UVC protection. Conforms to EN166.1.F.N. Tested to resist the impact of a 6mm () steel ball fired at 100mph (160kph) at the lens. Excellent coverage with built-in shields on side, top and bottom of the frame. Adjustable features such as variable temple length and ratcheting temple angle adjustments allow for a precise fit. Used for Gas welding and Oxygen cutting. Honeywell 1014301 Duality Safety Glasses complies to EN166,ANSI Z87+ (High Impact) standard and EN169 safety standards. Here at North Sea Workwear we sell the best mechanic workwear from the best brands such as 3M, Amblers, Cat, Dickies, Honeywell, Portwest, Skytec, Snickers and Uvex. Our range of Mechanics gear includes: Boots, Gloves, Glasses, Overalls, T-Shirts, and welding masks. Our hand selected Mechanics clothes are ideal for any Mechanic. The overalls in this category are all polycotton, providing the perfect combination between comfort and durability. The Dickies WD4879 coverall is a prime example of our overalls. Manufactured from 65% polyester and 35% cotton. Designed with multiple pockets suitable for carrying all the necessary tools. Elasticated in more than one area making it a secure and comfortable fit ideal for Mechanics who work long hours. Mechanics are frequently adjusting greasy vehicle components to combat the grease and oil surfaces we provide high quality gloves. The gloves in this category allow Mechanics to maintain superior grip in oily, greasy or wet conditions. These gloves are ideal for manual handling tasks. The Honeywell Northflex NF11HD provide protection against Abrasions, Cuts, Tears and punctures whilst also providing superior grip. Mechanics frequently have to weld components, and in this category you can find safety gear suitable for welding such as masks and gloves. The 3M HT-615 QRS Optrel Twisty Welding Mask is just one of highly protective welding masks we have to offer. For more welding gear why not check out our Welding category. 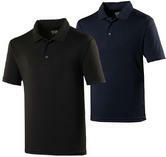 We also provide a wide range of works shirts ideal for wearing under the overalls mentioned above. 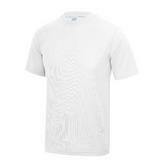 The Caterpillar C1510226 is a lightweight and comfortable t-shirt that is perfect for every day use. Not what you?re looking for? Then why not check out our full range of products in our Catalogue.